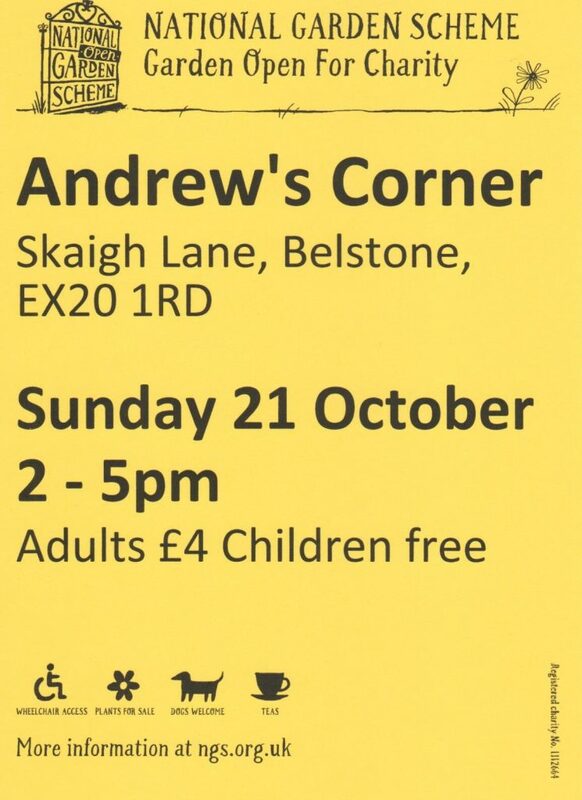 Andrews Corner are holding their usual two Autumn Garden openings in October. On Sunday 21st we’re open for the NGS from 2.00-5.00pm with the usual cream teas. 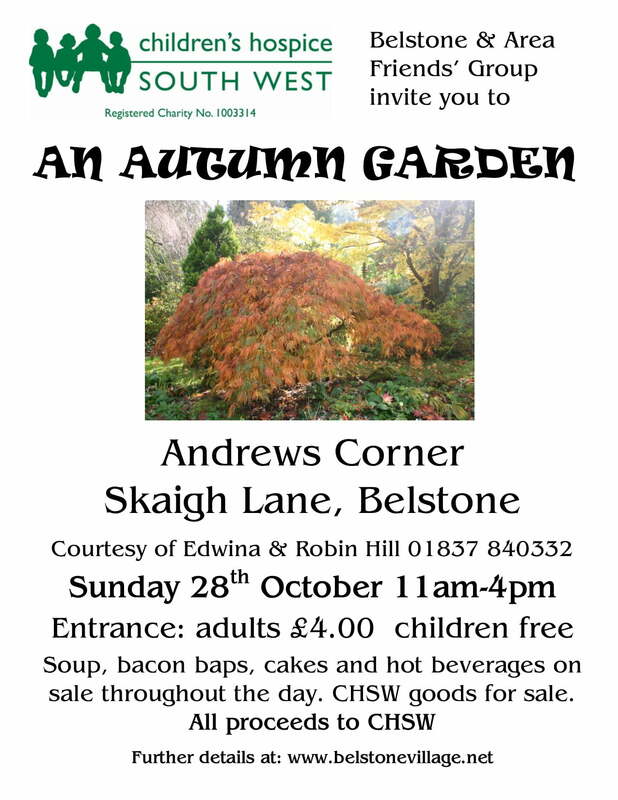 On Sunday 28th we’ll be opening for The Children’s Hospice South West from 11am-4pm with bacon baps, homemade soup, cheese scones, cakes and hot beverages for sale. Also CHSW promotional goods and Christmas cards. Cost for entry on both occasions is £4 adults, children free.